Some artists, most often but not always those following in the Bebop-Hard Bop progression, wished to continue the train of freedom of improvisation that these genres had started. It is due to this wish that Modal Jazz and Free Jazz were born. Modal Jazz moves past the Western tradition of major and minor scales, opening their music, and particularly their improvisation, to entirely new sounds. The followers of Free Jazz, led by Ornette Coleman, took this progression even further, creating songs not necessarily based on any preset melody or even chord progression. This allowed artists a complete range of originality to work with, enabling complete spontaneity in the music. This could often be seen in the form of group improvisation, where an entire group (generally smaller combos) would improvise together to create something completely original. John Coltrane is perhaps the most famous Free Jazz player, also contributing to the development of Modal Jazz. Splitting from Hard Bop in the opposite direction, Soul Jazz was perhaps the most popular style of the 1960’s. Relying on simpler, bluesy melodies and dance-like rhythms it distanced itself from the more complex improvisational techniques being developed in Free Jazz. It was greatly influenced by rhythm and blues, as well as gospel elements, and was often driven by – and is the reason for the popularity of – the Hammond organ, seen in the playing of Les McCann as well as many others. 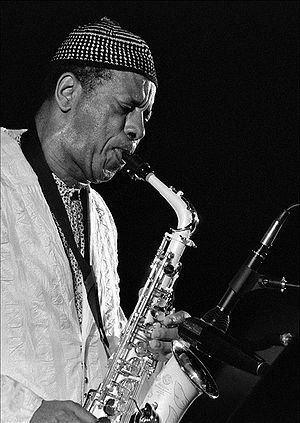 Tenor saxophone and guitar were often featured as well, a prime example being the saxophone stylings of Eddie “Lockjaw” Davis. The 1970’s were a difficult period for jazz. Due to the growing popularity of the television, and the access that provided to the popular music of the time, Rock & Roll was quickly overshadowing the jazz scene, with the help of Disco later on. As such, many jazz artists, particularly those from the progression of Hard Bop, transferred their skills to the Fusion school of jazz, which combined jazz improvisation with the new, high energy rhythms of Rock & Roll. Fusion is interesting in that not much of its influence is seen in today’s jazz; it has actually influenced rock to a much greater degree. Moving into the 1980’s, the biggest addition to the scene was that of Afro-Cuban or Afro-Latin jazz. A blend of jazz improvisation and infectious rhythms from South and Central America, this genre is related to the earlier Bossa Nova but with much more influence from the traditional Bebop, as seen in the Afro-Cuban recordings by Dizzy Gillespie. This style was pioneered by trumpeter Mario Bauza and percussionist Chano Pozo, and can be seen in the works of artists like Arturo Sandoval. The final addition to an already diverse repertoire of jazz genres came in the 1990’s, by the way of Smooth Jazz. Growing out of Fusion, and adopting the mindset of their Cool Jazz forerunners, Smooth Jazz leaves behind the energetic solos and wild dynamics of Fusion, focusing more on its polished, slick sound. This results in a very unobtrusive style, including the abandoning of improvisation, leading some jazz “purists”, often fans of the Bebop and Free Jazz schools, to question whether Smooth Jazz can truly be counted as a subgenre of jazz. Aside from Smooth Jazz however, the 90’s saw a resurgence of older jazz styles, often referred to as the Hard Bop Revival, Retro Swing, and Neoclassicism (For the resurgence of Bebop, Swing, and New Orleans Jazz, respectively). This occurrence, along with the continuation of Free Jazz and Afro-Cuban, accounts for the variety of jazz seen today, resulting in a rich jazz culture that can be seen all around the world. At the end of our article Jazz Styles Family Tree (Pre-World War II), we left off in the history of jazz with the Gypsy Jazz (or Jazz Manouche) of Django Reinhardt and the Swing music of such greats as Glenn Miller, Benny Goodman and Artie Shaw. However with many band leaders and members serving in World War II (and some, such as Glenn Miller, losing their lives in the war effort), this period saw the breakup of the “Big Bands”, leaving the field open for smaller groups and a new style of jazz, called Bebop. Led by such jazz legends as Charlie “Bird” Parker and John “Dizzy” Gillespie, this style moved away from the melody-based improvisation seen in most big bands and toward chordal improvisation, the style most readily seen today. In Bebop an artist would be free to explore whatever improvised melody they saw fit, as long as it fit within the chord structure of the piece. This era also saw the birth of Vocalese, a rather unique style of jazz in which pre-existing melodies, and even solos, would be given lyrics and then sung by artists in the style of the previous instruments. Considered by many to have been invented by Eddie Jefferson, Vocalese did not see much success until more recently, with more well-known artists such as Jon Hendricks and The Manhattan Transfer (who won a Grammy for Best Jazz Fusion Performance for their Vocalese performance of Birdland). Descending directly from Bebop in the 1950’s was Cool Jazz, also known as West Coast Jazz due to the heavy influence out of the western states, especially California. A mixture of Swing and Bebop, Cool Jazz is most easily recognized for its harmonic tones combined with much more smoothed out dynamics, avoiding the more aggressive styles and tempos of Bebop. 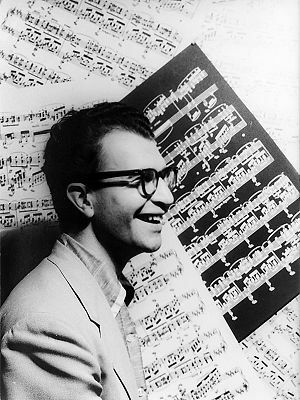 Such artists as Lester Young and Miles Davis are considered to have contributed heavily to the feel of Cool Jazz, and many successful recordings have come out of this style, such as The Dave Brubeck Quartet’s “Time Out”. While the Cool Jazz style was growing in recognition, some artists wished to recapture both the excitement and the audience of the Hot Jazz and Swing era. An extension of Bebop, Hard Bop filled this need, partially returning to both the Bebop and Hot Jazz of the past while drawing inspiration from Rhythm and Blues and even Gospel to a degree. Hard Bop tunes often had simpler melodies than its Bebop predecessor; with an emphasis on its now more sophisticated rhythm section. Horace Silver and Art Blakey of The Jazz Messengers are well known for their work in Hard Bop, with a prodigious talent for innovation keeping their pieces interesting for the audience. Both Funky Jazz and Gospel Jazz can be seen as natural extensions of Hard Bop. Moving back to the other end of the spectrum, Cool Jazz had been mixing with the more European sensibilities and styles of South America, and by the time it worked its way up to North America in the 1960’s we had the new style of Bossa Nova. A lighter genre of jazz, even in comparison with that of the West Coast musicians, this “Brazilian Jazz” relied heavily on samba rhythms and acoustic guitar, often with English or Portuguese vocals. Bossa Nova gained popularity as an alternative to the Hard Bop of the time, and also due to the contributions of such artists as Charlie Byrd (Not to be confused with Charlie “Bird” Parker) and Stan Getz.